Xolumado Village is an inspirational village located amidst tropical lush gardens and world class, AAA 4- Diamond Karisma Resort – Generations Riviera Maya. Here, you will encounter a place of peace, stillness, inspiration, art and music all in harmony with nature. Surrounded by mangrove and beautiful, natural vegetation, Xolumado is a true fairytale setting, full of romance and attention to detail everywhere you turn. From the moment you walk in, you will feel an ambience of peace and creativity in a 2.5 acre brimming with tropical vegetation, flowers and birds that coexist here and have made this their home. There are gardens and pathways bordering the cottages, intertwining to join at the pool area which is inspired by the Orient with both Mexican and local art. A great choice to get away from it all or to practice meditation, with a style very much in harmony with its surroundings. 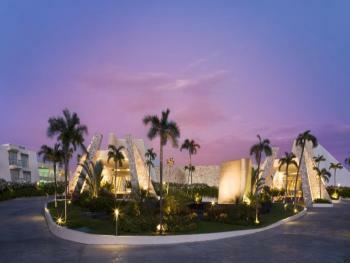 All guests are welcome to use the facilities of the Generations Riviera Maya, by Karisma. This amazing property features the renowned Gourmet Inclusive® Experience which was carefully catered for those who value quality. Guests will enjoy the freshest and finest ingredients for an unrivaled culinary journey, premium drinks, authentic award-winning service and exciting activities for everyone. 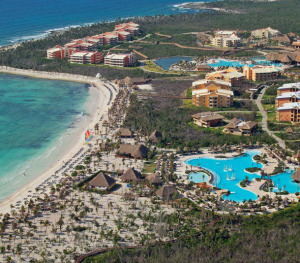 The over 76,000-square-feet greenhouse facility provides produce not only for Xolumado and El Dorado Royale, but also for Karisma Hotels: El Dorado Spa Resorts, Generations Resorts and Azul Hotels throughout the region. The expansive greenhouse—the first resort greenhouse in the region—celebrated its first harvest almost a decade ago and produces a variety of organic vegetables and herbs, including cucumbers, bell peppers, chilies, eggplant, tomato, cherry tomato, basil, cilantro, papaya, lemon and mint. The fertilization process is carried out through a hydroponic system. The products that are used for fumigation are from certified organic origins, derived from plants, leaves & seeds. 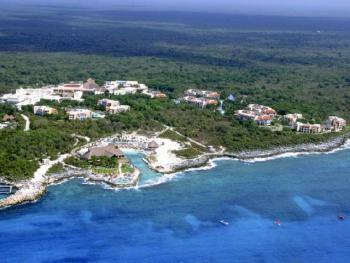 Tours are offered during the week complimentary to all guests. Horseback Riding Stables located within the premises, offers exciting and unique way to get in touch of the true nature of the Mayan Riviera with its two-hour guided tour along jungle trails to encounter one of the marvels of the Yucatan Peninsula: The Mayan Cenotes. Commonly known as sinkholes where you can jump in for a refreshing dip in the crisp, cool waters. Healthy, well trained horses appropriate for people with little or no experience at horseback riding. Semi-private tours consist of groups up to 12 riders, ensuring that everyone receives personal attention from friendly, knowledgeable guides. Call 1-866-875-4565 for more information. Located in the heart of the beautiful Xolumado Village, this unique and casual restaurant was created with the inspiration of the tropical surroundings and lush foliage. The restaurant features distinctive décor that ties perfectly into the surrounding ambiance. The á la carte food and beverage provided for breakfast, lunch and dinner are vibrant and delicious. The finest delicacies of Mexico and Americas are prepared by expert chefs using the best techniques and quality ingredients. Next to the restaurant there is an outdoor BBQ & Bar that allows the guest to fully immerse in an outdoor dining experience with lavish gardens and singing tropical birds. Apart from the unique ambiance and amazing food, we serve a wide variety of wines, premium liquors, nonalcoholic beverages and fresh tropical fruit juices.